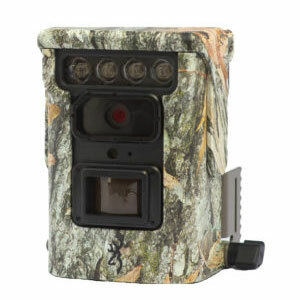 The Defender 940 is a new concept in trail cameras, packed with our best camera features and technology, including Bluetooth and WiFi connectivity via the Browning Trail Cameras mobile app from an approximate range of 50-60 feet. 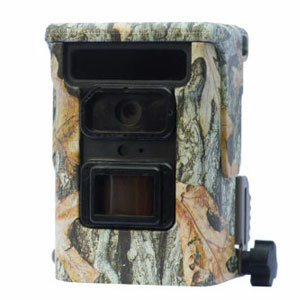 The Defender 940 is a new concept in trail cameras, packed with our best camera features and technology, including Bluetooth and WiFi connectivity via the Browning Trail Cameras mobile app from an approximate range of 50-60 feet. You can now preview and download crisp 20MP images and full HD quality videos right to your mobile phone or tablet without disturbing your camera in the field. You can also change camera settings and view a live preview feed from the camera to see exactly what is within the frame of your camera, right in the palm of your hand. The Defender 940 camera has an impressive detection range of 80 feet and an adjustable IR flash at night that can be adjusted to power save or long range set-ups. The compact camera case also features a 14-gauge steel, adjustable tree-mount to perfectly aim your camera in the field from any number of heights. And to make this camera even more appealing, the Defender 940 camera comes with one (1) 16GB SDXC card and four (4) CR123A lithium batteries to have you up and running as soon as possible.